or maybe a candle lit dinner with your significant other. 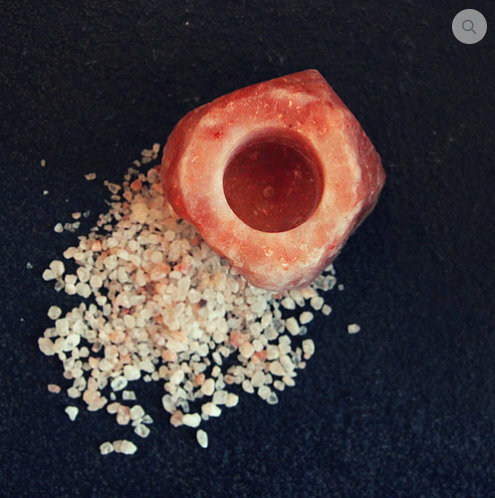 This tea light holder is made ONLY from raw natural himalayan pink salt! But why is that a good thing? 1. Salt absorbs negative energy from the environment and its combination with the fire of candle is so purifying for the environment. 3. Its completely handmade by our artisan Chintu!